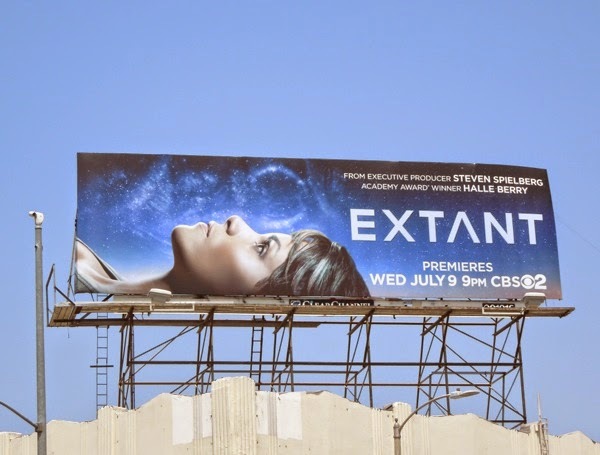 With Under the Dome last Summer CBS struck a ratings home run, so it's no wonder that the TV network would try and make the magic happen again with another slice of sci-fi to try and recapture audiences imagination. 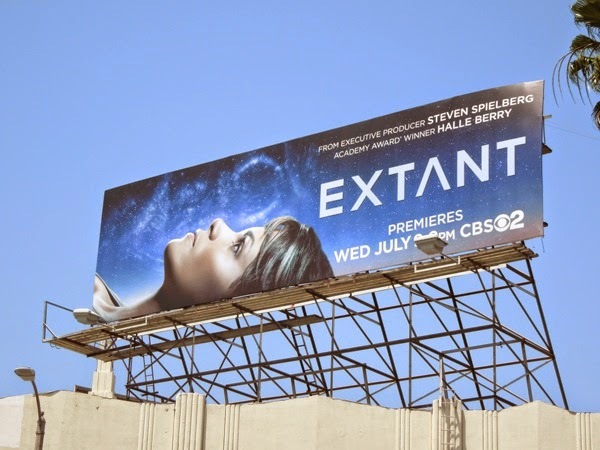 In the new science fiction mystery, Extant, Oscar-winner Halle Berry headlines as an astronaut who returns home to Earth from a year long mission alone in space to discover that she is pregnant. How is she miraculously pregnant and with what, are just some of the questions we and her husband, played by Goran Visnjic, will no doubt want answered over the course of the series. 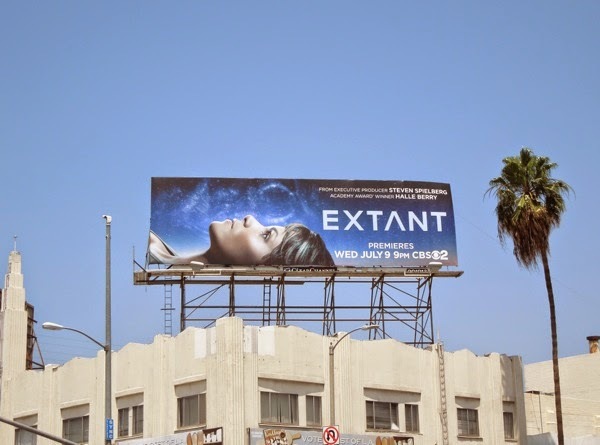 This series premiere billboard was spied at the intersection of Fairfax Avenue and Beverly Boulevard on May 25, 2014, and it looks as if that's a baby sonogram made up of star constellations floating above Halle Berry's face. 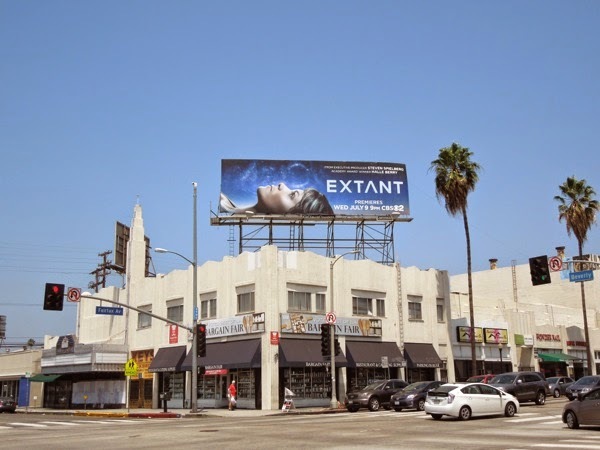 If you're a fan of the actress, be sure to also check out these cool movie billboards for The Call. At least we know that she'll have more to do in this series than as 'Storm' in the latest X-Men: Days of Future Past movie, but let's hope this is more Cloud Atlas than Catwoman.